In industries that provide a service, customer satisfaction is everything. Can you give your customers what they want? The rising availability of data paired with personalized experiences leads the way for better products and better customer experiences. 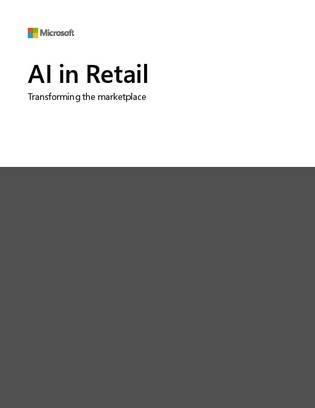 In this resource, see how the retail industry is using data alongside AI technologies (intelligent agents, machine learning, and cognitive services) to transform processes and develop a competitive edge.